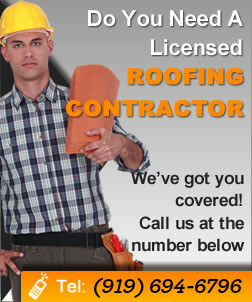 What to look for when hiring a roofing contractor. In this video we share 3 important things to look for when search for a roofing contractor. Roofing Brampton prides itself on providing top quality products and workmanship. We serve the southern Ontario area with a roofing reputation we are proud of. No job is too big or too small. Something you may think is a big expensive roofing job because of a leak, could just be fixing a metal flashing. We consult with you on the right solution for your home, to help make the best decision for you. Use our experience to help you choose the type of shingles that are best for your roof and that achieve the look you want for your home. There are many different material options and rainbow of colours. Some of the material options are asphalt shingles, composition shingles, wood shake shingles, roofing tile, slate and metal. We provide regular maintenance calls or in an emergency when you suspect your roof is leaking. It’s important to have your roof inspected at least once every three years for damage or potential problems; this simple inspection could save you a small fortune by taking care of a small simple issue before it becomes a big expensive problem. We work on both residential and commercial buildings. If you need a skylight installed or want a sun tunnel to bring light in our consultants can help you place it and our skilled personnel can install it quickly and professionally.